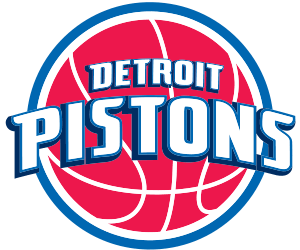 The Detroit Pistons play at the Palace of Auburn Hills in Auburn Hills, MI. Located about 30 minutes north of Detroit, the drive is worth it for the fun you will have watching the home team play! If you need a way to get there, click on our tranportation tab for local party bus and limousine options. There is plenty to do in Auburn Hills before and after the game. Enjoy a bite to eat at one of many restaurants, grab a drink at a local bar, or check out the gigantic Great Lakes Crossing Outlets for some shopping. You are going to have a fabulous day in Auburn Hills! A sporting event is a fantastic way to bond with those around you in the name of your favorite hometown team. You can bond with fellow fans, drink to your hearts content, and enjoy some friendly competition. You'll enjoy your outing even more when you have a great mode of transportation to depend on throughout the night! We've got the perfect solution for your transportation worries. Renting a limousine or party bus for your next Pistons game is a great way to make sure all of your friends are having a fantastic time. There's nothing better than a limousine or party bus filled with all of your very best friends, ready to have a great time! Take advantage of the ice filled bar areas, televisions with DVD inputs, amazing sound systems, and neon lighting. It will surely be a night to remember!